Ready to Dance – Competitors and Professionals should be dressed and ready to dance in the ballroom 30 minutes prior to their event. NDCA Rules – All person attending the Ultimate DanceSport Challenge, whether as Spectators, Competitors, or Guests or Officials, shall be bound by the NDCA rules, and by participating in the events are automatically obliged to adhere to them. Full Payment by Deadline – All completed forms and full payment must be postmarked by the deadline, August 24, 2019. Payments must accompany entries. There will be a $40.00 charge for all returned checks. All Fees Must be Paid Before Competing – Competition reserves the right to refuse entries if prior competitions or entries remain unpaid. Outstanding payments should be made to Registration prior to entering the Ballroom. Entries After Deadline – Deadline for entries is Monday August 24, 2019. Entries received after that deadline are subject to an additional $50.00 fee per couple. Write-ins at the event can be done at organizer’s discretion. session begins. Changes made at the competition, through no fault of the Organizers, will not qualify for teacher’s points or all-around winners. There will be a change fee for changes made the day of the event of $10.00. Insufficient Entries – All categories and events are subject to a reasonable registration and the Organizers reserve the right to combine, merge or cancel any heats or events with insufficient entries. We reserve the right to cancel any Scholarship with less than 5 entries and to make payment vouchers in lieu of cash rewards. Refunds – No entries will be refunded for changes/cancellations made after August 24, 2019 – changes and cancellations must be made prior to the deadline of the event. Competitors shall conduct themselves in a civil, sportsmanlike manner at all times while on the competition premises. The UDC reserves the right to disqualify any competitors acting in a less than respectful manner. 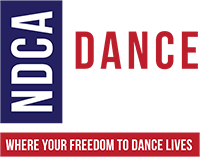 The organizers reserve the right to reject entries from competitors who have previously violated rules of conduct at other NDCA events. Marks will be posted. Anyone removing posted marks or master scrutineer sheets without permission may be subject to disciplinary action. The Intercontinental property will be treated with respect and care. Attendees and participants in the UDC will be responsible for any damage to the property. Every person attending the Ultimate DanceSport Challenge does so at his or her own risk and expressly and irrevocably waves any claim or claims against the NDCA, the UDC, its organizers, AZ Agency, employees and representatives arising from any loss, personal injury, death or damage associated. This event may be photographed by video, photography or other method. All persons attending this event may be photographed and, by their presence, waive any claim related to the use of that photography and the rights of any copyright, privacy or publicity associated with said photography. The UDC and its organizers reserve all print, electronic and broadcast rights and reserve the right to use any and all photography taken at the Ultimate DanceSport Challenge for future promotional purposes. Organizer reserves the Right to Reduce Cash Awards by 50% if the minimum number of couples is not present, and in the Scholarship events, give vouchers instead of cash awards, if the minimum of couples is not present. Awards Vouchers will be given for payment of all cash awards, and the completed voucher must be submitted for payment of all cash awards. ALL VOUCHERS ARE TO BE PRESENTED FOR PAYMENT IMMEDIATELY FOLLOWING YOUR EVENT. Completed voucher information is required to receive payment of cash awards. Both professionals competing as a couple in the Professional Pre-Championship events must be working and/or competing in the DanceSport industry for not longer than three (3) years. Pre-Teen, Junior and Youth Pro/Am competitors may dance up one age level. Adult & Senior Pro/Am competitors may dance down one age level (but not into Youth). Pro/Am competitors may dance in three consecutive closed levels per style (ex – Bronze 2 & Silver 1, not Bronze 2 & Silver 2), and two consecutive open levels. The Newcomer category is restricted to Pro/Am students who have never competed in any ballroom dance competition prior to the Ultimate DanceSport Challenge. The Newcomer division is restricted to the bronze syllabus. Pro/Am competitors must enter an equal number of single dances in the same style in order to enter multi-dance events. Figures used in American-style Newcomer through Full Silver syllabus events are restricted to NDCA-approved figures, elements and restrictions. Figures used in American-style Gold syllabus events are restricted to the approved syllabi of member organizations of the NDCA and the official NDCA American-style syllabus. Figures used in International Newcomer through Full Gold syllabus events are restricted to NDCA-approved figures, elements and restrictions. Syllabus figure restrictions do not apply to Gold Star or Open events. Costumes are permitted at any level for Junior, Youth, Adult and Senior Pro/Am competitors. Pre-Teen competitors must adhere to NDCA Pre-Teen costume requirements. a. The age of the older partner for Pre-Teen, Junior, Youth and Adult classification. b. The age of the younger partner for Senior classifications. Pre-Teen, Junior and Youth amateur couples may dance up one age category. Amateur competitors may dance in three consecutive closed levels per style (ex – Bronze & Silver, not Pre-Bronze & Silver), and two consecutive open levels. Singles events are open to individual amateur Pre-Teen, Junior or Youth competitors. The Single competitor must be partnered by another amateur competitor aged eighteen years or younger. The age of the Single competitor shall determine the age level entered and only the Single will be judged. Figures used in American-style Pre-Bronze through Silver syllabus events are restricted to NDCA-approved figures, elements and restrictions. Figures used in American-style Gold syllabus events are restricted to the approved syllabi of member organizations of the NDCA and the official NDCA American-style syllabus. Figures used in International-style Pre-Bronze through Gold syllabus events are restricted to NDCA-approved figures, element and restrictions. a. NDCA costume requirements for Pre-Teen is Syllabus dress for Pre-Bronze through Gold. b. Either “Syllabus” dress or “Open Amateur” dress for Novice. c. “Open Amateur” dress for Pre-Champ and above.